“Easy to Love…” Book Giveaway! Have you been excited to read the anthology of parent essays I keep blogging about, Easy to Love But Hard to Raise: Real Parents, Challenging Kids, True Stories, but you haven’t gotten around to buying it? Now’s your chance to win a free copy! Co-editor Kay Marner is offering three free copies on her blog over at ADDitude Magazine, a publication for families touched by Attention Deficit (ADD) and Attention Deficit/Hyperactivity Disorders (ADHD). Kay writes about a fictional Everyparent, Eve, who struggles to manage her child who suffers from ADHD. To enter to win a copy of Easy to Love… you only need to comment on her blog with which parts of Eve you most identify. Don’t let me confuse you into posting your answer here on my blog, but be sure to go to Kay’s and post there. And hey, even if you don’t win a free copy, maybe you’ll find a little catharsis? I heard about this on the facebook page for Easy to Love But Hard to Raise and I’m just blown away by it. P.A.N.D.A.S., according to this article in Psychology Today, is an annoyingly cute acronym for Psychiatric and Neurologic Disorders Associated with Strep, and may be the cause of many disorders that we currently understand poorly, including Tourette’s syndrome, tic disorders, OCD, generalized anxiety disorder, ADHD, and anorexia nervosa with possible connections to lupus, fibromyalgia, and rheumatoid arthritis. As often seems to occur, researchers in other countries have been trying to establish links for over a decade and the information is now trickling in to the U.S. medical community, however slowly. When I see this type of new-to-me medical information, I pay attention. It was only four years ago that my children were diagnosed with a poorly understood metabolic disorder, pyroluria, a disorder that our pediatrician had never heard of. If I hadn’t read about it in a valuable niche book (Aspergers Syndrome: Natural Steps Toward a Better Life for You and Your Child by Suzanne Lawton) we might still be searching aimlessly for a diagnosis and treatment for my children. Wouldn’t it be lovely if P.A.N.D.A.S is the culprit (or aggravator) in so many misunderstood disorders? Time will only tell. But as a mom who has been there, knowing something isn’t right, but the medical explanation isn’t obvious, I think we should educate ourselves and work with our physicians and naturopaths as a team. Many people feel overwhelmed by medical information and when they turn to their doctors, they want answers and perfection. But our physicians and naturopaths are human, they can’t know everything, and it takes a while for new discoveries and breakthroughs to make their way to the trenches of small-town medical care, especially if the info is being blocked for political reasons and/or ego. Our pediatrician admitted he’d never heard of pyroluria when I brought it to him as a possible diagnosis for my children, but he was willing to educate himself, order the tests, and locate a lab that would conduct them. He was supportive when the tests came back positive and encouraged our connection with our naturopath to help manage their vitamin therapy treatment. 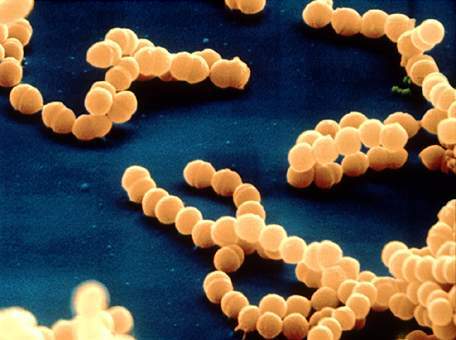 Since we learned to kill bacterial infections with antibiotics in the 50’s , those little bugs have lost their umph in our minds, but they’re still here, evolving faster and smarter than us, and finding new ways to control our machinery. Popular culture, like the new movie, Contagion, reminds us how much stealth power they still command. Let’s hope this article is right, that there is a connection between P.A.N.D.A.S. and many debilitating medical disorders, so that we can better understand them and use this knowledge in their treatment and management. I, for one, will be following new developments with this family of bacteria and the work of Dr. Jory F. Goodman, who wrote the article. Can you recall any medical disorders that were eventually explained by a simple culprit? I can think of cleft pallate and folic acid as a most recent example. 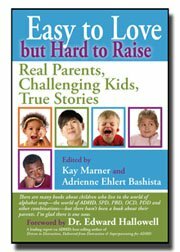 I’m excited to announce that the anthology, Easy to Love But Hard to Raise: Real Parents, Challenging Kids, True Stories, will be released by DRT Press in October 2011 and my essay, Finding My Way, will be in it. As the title so clearly explains, the anthology shares the stories of parents of children impacted by ADHD (Attention Deficit Hyperactivity Disorder), SPD (Sensory Processing Disorder), PBD (Pediatric Bipolar Disorder), OCD (Obsessive Compulsive Disorder, PDD (Pervasive Developmental Disorder) or any other situation that adds to the challenge of parenting. I am also now a contributor on the new blog site that accompanies the book. Please check out my new blog post here, and subscribe if it’s a good fit for you. I’ll post there again next week. This blog was designed to support and connect tired parents, and allow them to share stories, commiserate, and give tips in a safe haven. You can also support the blog and anthology by “liking” it on Facebook. Simply search for “Easy to Love But Hard to Raise”. I’m learning a lot about marketing and promotion through this experience, and I hope you do too.